Epic is the latest in the Fox Home Insider movie to come to your living rooms, August 20th. Transported to a magical world, a teenager (Amanda Seyfried) is recruited by a nature spirit, Queen Tara (Beyoncé Knowles), to help the "Leafman" save their existence- and ours- from evil warriors. 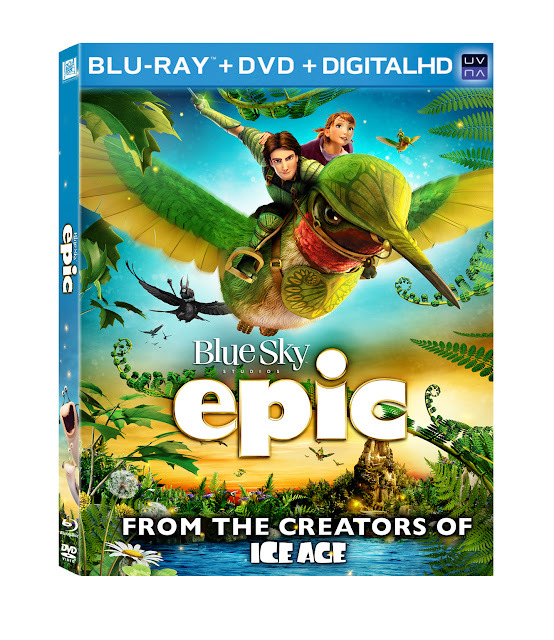 The whole family will love this face paced thrill ride, with its astonishing animation and all star voice cast that includes Colin Farrell, Oscar® Winner Christoph Waltz, and Steven Tyler! Before the movie comes out on DVD/Blu-Ray, on August 20th, we have a couple exclusive activities to share with you! 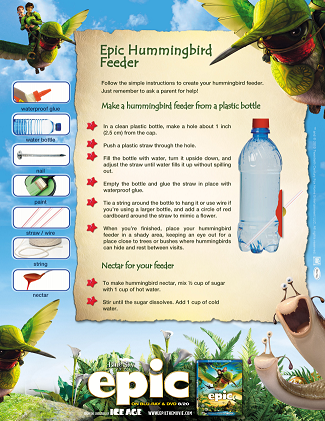 This homemade hummingbird feeder is fun to make and great for recycling! 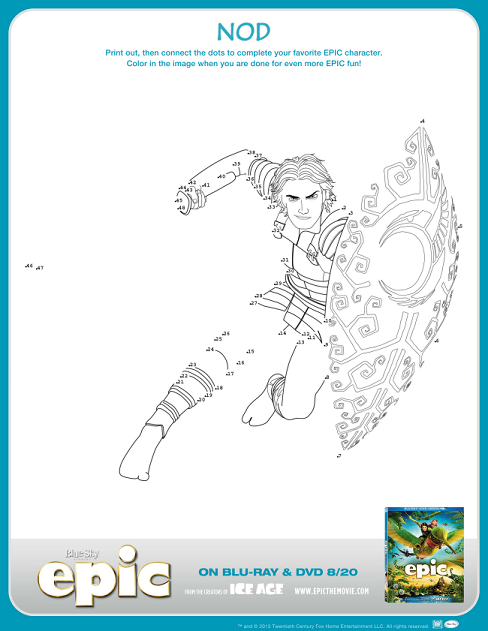 My kids have already made me print out their favorite Epic character for dot-to-dot! DISCLAIMER: My family is receiving a copy of the Epic movie for personal use. You may print as many copies of the activity pages as you like for personal use only.